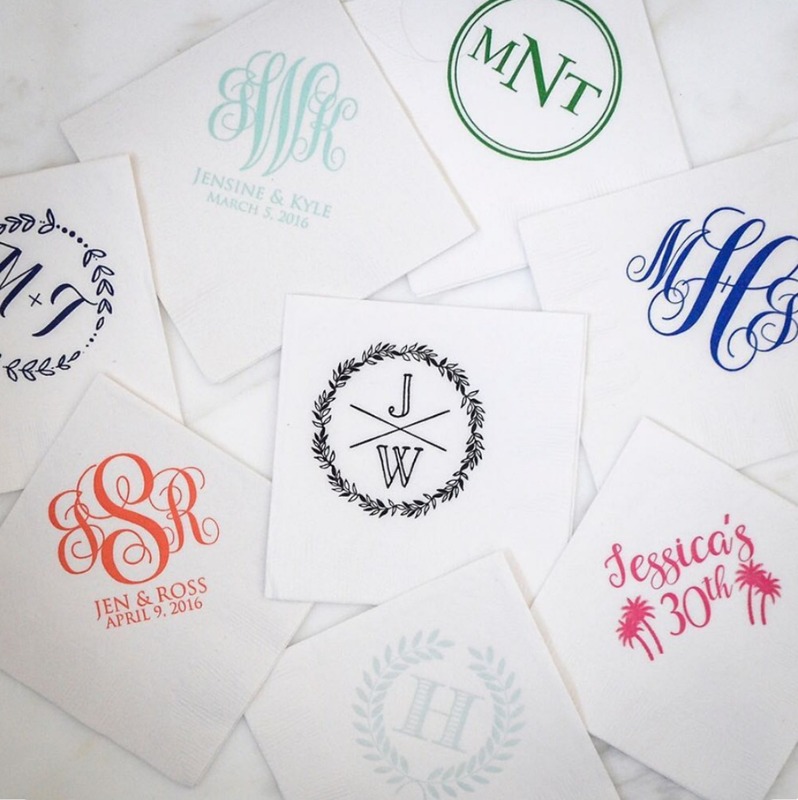 7 Ways To Monogram Like A Pro With Gracious Bridal Party Goods! Calling all Southern brides and brides looking for the quintessential Southern wedding vibe, have you designed your monogram? Well once you have that fabulous new brand of your love put together Gracious Bridal Design House has your party good needs covered. Napkins, cups, can coolers, wedding favors and gifts will stand out with a custom touch from Gracious Bridal and that custom touch will be your wedding monogram! With roots in Austin, Texas, the Gracious Bridal team has an eye for style imbued with a Southern sensibility and graciousness. We highly recommend you visit their recently revamped website, it just might bring out the fabulous hostess in you. Plus all orders over $99 will be shipped for free with the code wchick10 at checkout! This shop has helped me with my own wedding (koozies and cocktail napkins) and now we’re hosting a shower for our friends, the cocktail napkins turned out perfectly! During our wedding, I was precise in instructions and what I envisioned... they came out exactly how I wanted! And for this shower we’re hosting, I left it all up to them and they’re fabulous!! I will always be using this shop! If you are anything like us you are super excited to start monogramming up a storm… but wait do you know how to properly monogram? We sure didn’t until we did a little research, and who knew there were so many options?! So head on over to the full slideshow to find out how to monogram like a pro.